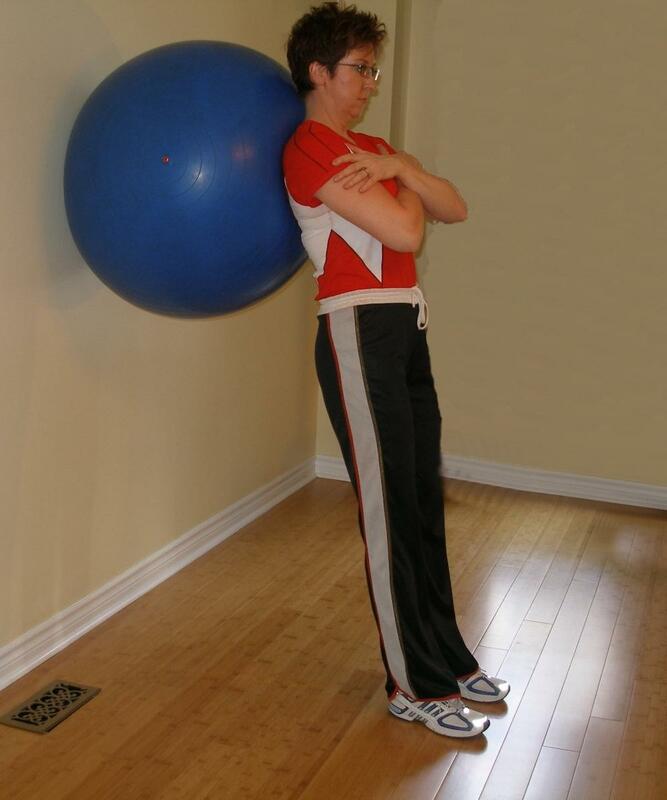 Put your exercise ball against the wall at shoulder height. 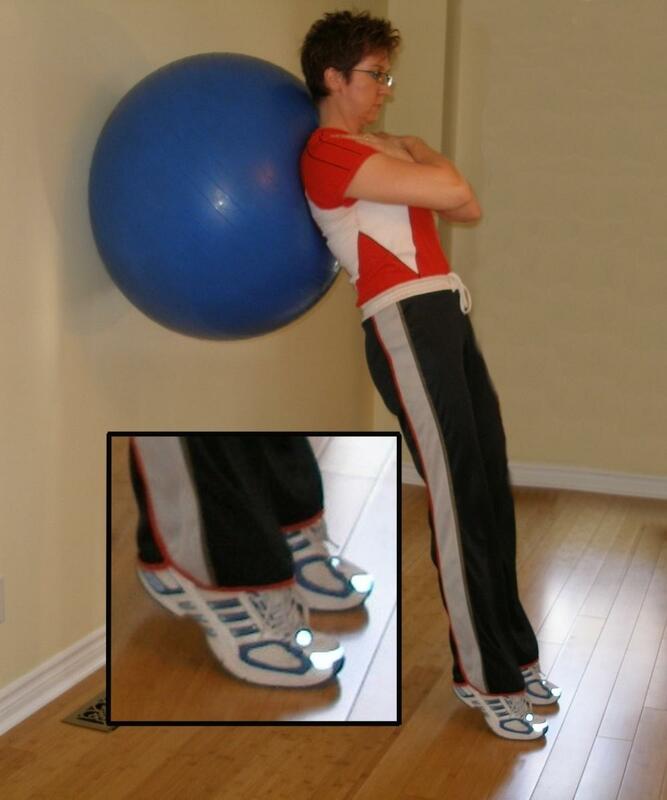 Place your feet approximately hip width apart and maintain a neutral spine. Push yourself up onto your tip toes. Don't allow your hips to sag. Try taking a step forward.